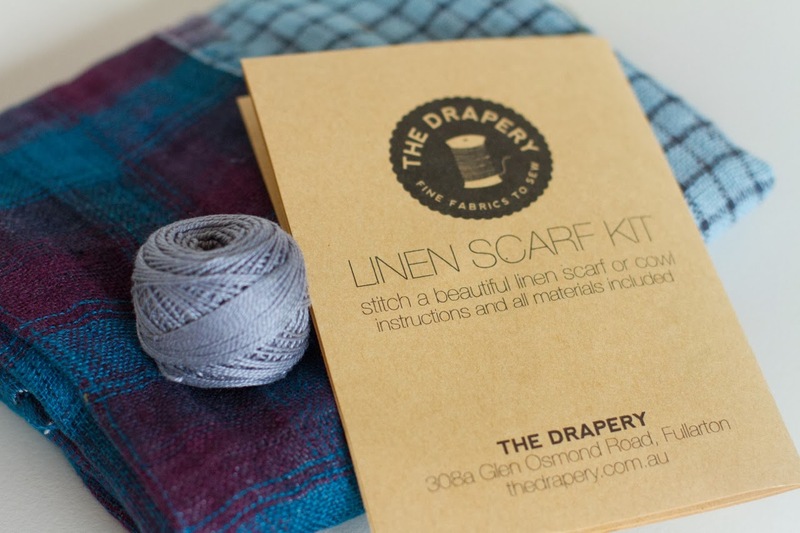 make it perfect: .Linen Circle Scarf Kit Giveaway - The Drapery. 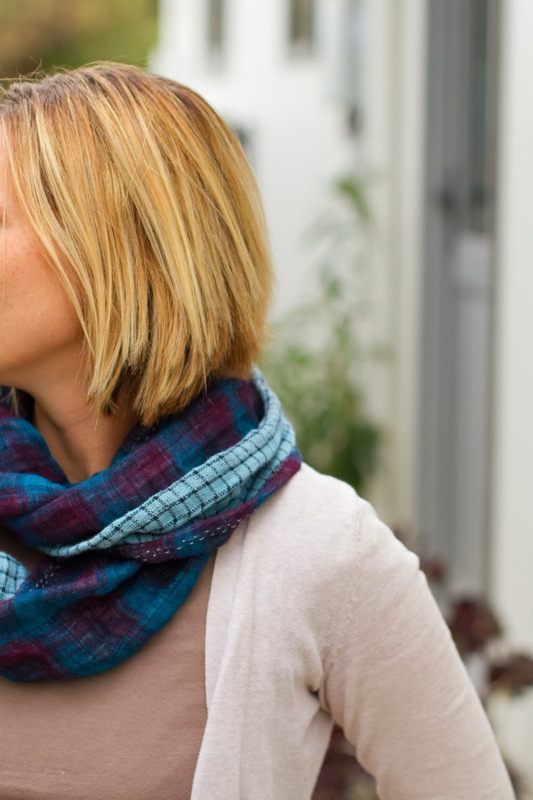 .Linen Circle Scarf Kit Giveaway - The Drapery. I'm back tonight with a little more from The Drapery. As a lovely surprise, The Drapery girls also sent me a Linen Scarf Kit from their store to try out. 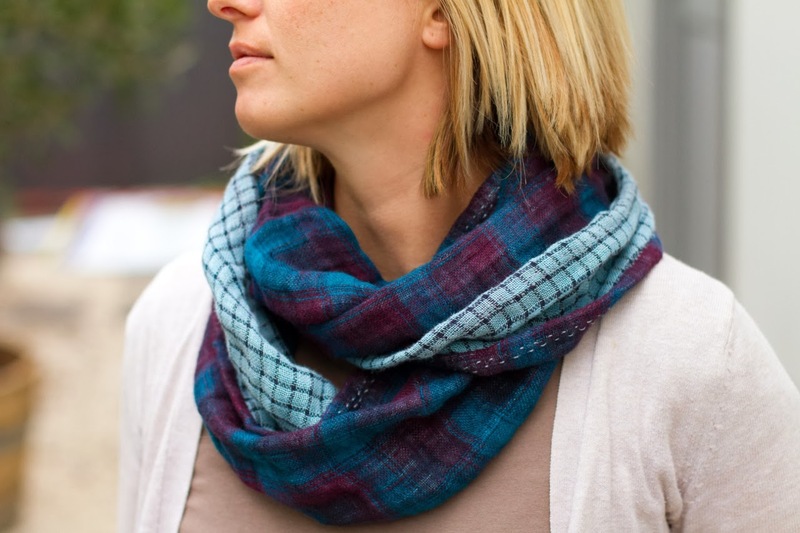 This kit is a super simple sew and the end result is a stylish and warm circle scarf (cowl). The kit includes absolutely everything you need to compete the cowl - yep, even the needle! It would be a great portable project to take away with you on a little holiday. I love a bit of hand-sewing on the couch when I'm watching telly, and this scarf is completely sewn by hand! Of course, if you are a bit impatient or don't want to sew by hand, you can make the scarf on the sewing machine and it would probably take you less than 15 minutes from start to finish! I personally prefer the hand-stitched look. The contrast thread shows up in little irregular stitches on the cowl and gives it some interesting detail. Not only is the cowl lovely to look at, it is also so, so warm. 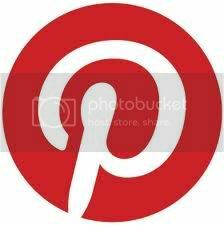 The one I used is made from a washed Lithuanian double-sided linen and is really soft and not at all itchy. 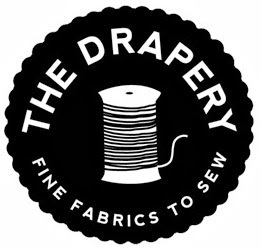 The Drapery is giving away TWO LINEN SCARF KITS to two lucky winners! The kits are valued between $20-$25. 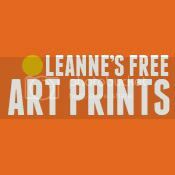 Simply leave a comment on this blog post to be in the running! Entries close Sunday 16th March. 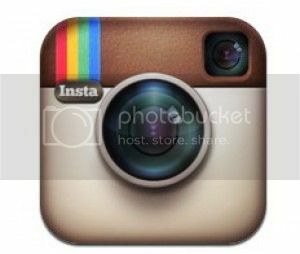 Please leave an email address with your comment. Beautiful! I would love one for the cold Canberra winter! I would love this!! And you look so pretty in your scarf Toni. Oooh, pretty! Love the colours. I would love to win a kit! Love your scarf, the colours are beautiful. 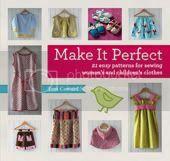 Handsewing in front of the TV is the perfect way to unwind after a busy day! Beautiful. I would love to win one. Thanks for the comp :) very pretty colours. Hand stitches on linen...ahhhh perfect. I'd love to win. Love the colours, bight and bold! I would really like to make this for my best friend Laura, who gives me so much of her time and energy and love. And who is also a big fan of The Drapery here in Adelaide! I love scarves! This looks great and I don't have a cowl one. You can never have too many linen scarves! Think I am about to become a linen convert! Fun to win one of these packs. I'd love to give this a go. Thank you! Having seen this in 'real life' I love it on you Toni. While summer is on its way, I would love to wear such a lovely scarf for next winter. So elegant (and thanks for not calling it a 'snood'-something entirely different that my mum wore in the 1940s). 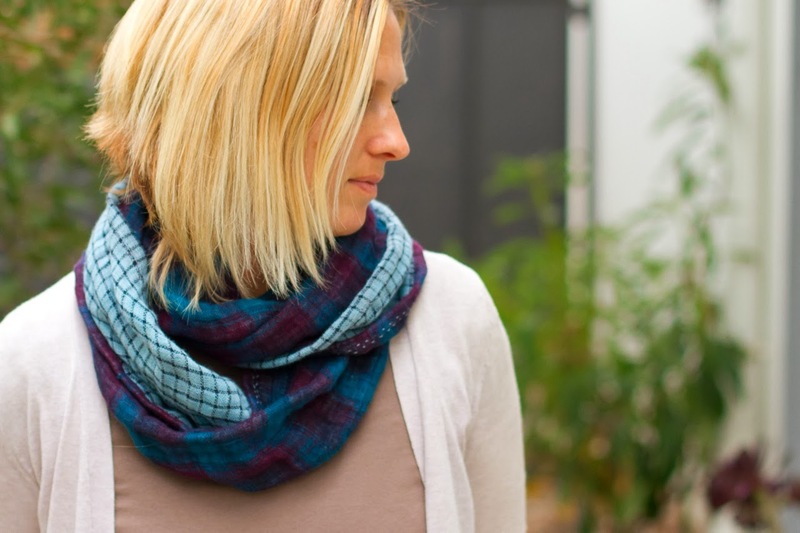 Love the fabric of your cowl - would be perfect for a Tassie winter!! What a beautiful gift to give a sewer. However, if I won I'd find it hard to give away! Now I'm sure I could handle this kind of sewing! It is certainly getting autumnal here in the South Island,NZ, so I'm sure it won't be long before I could use one of these! Thanks for the chance. one big circle of loveliness that would be lovingly looped around my neck! yES Please! A beautiful scarf for my beautiful friends birthday in March!! Please enter me! Wonderful Kit! 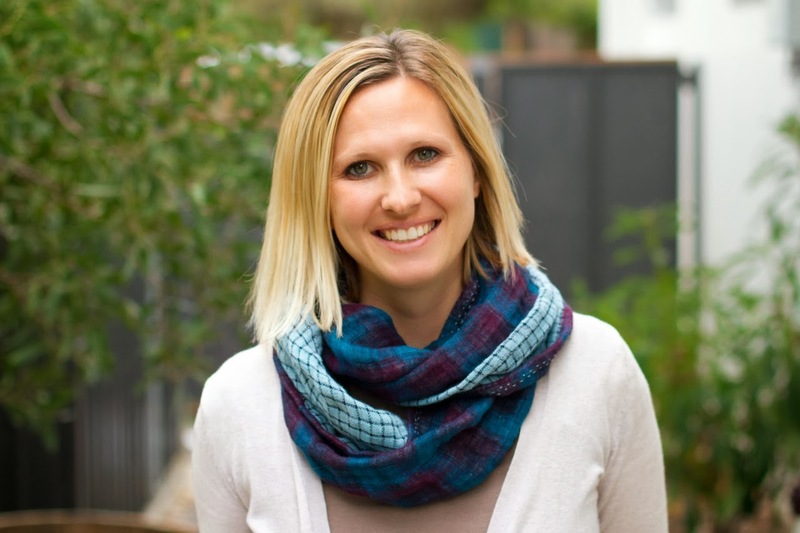 The scarf is beautiful and perfect for our mild weather. Love the scarf! perfect for our mild climate. I love the scarf! 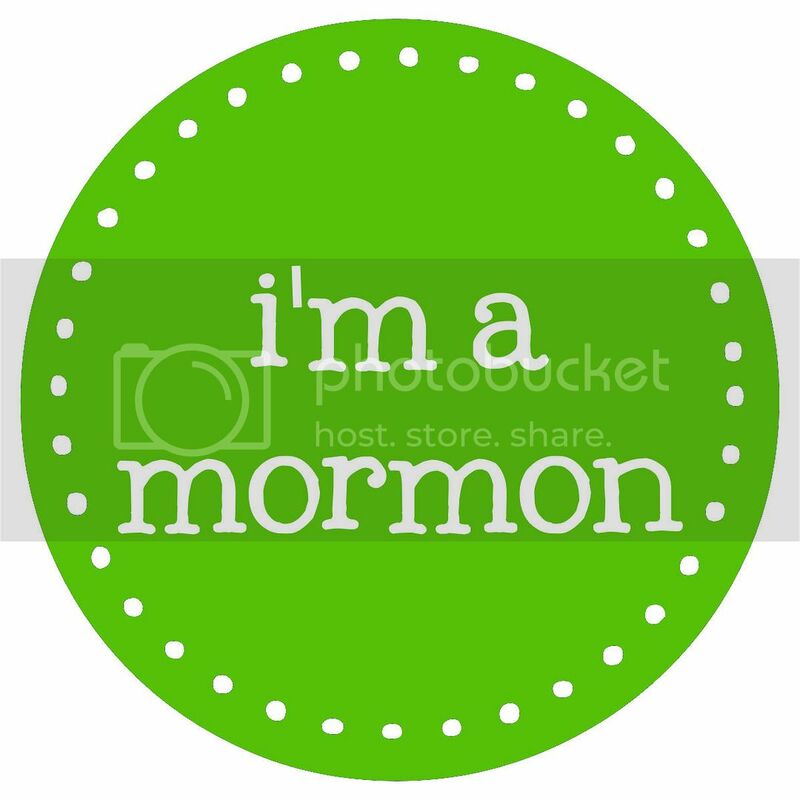 The green is just perfect. Great for our mild climate. 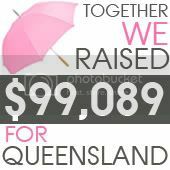 WOW they are lovely, Queensland has just started getting cold. This would be perfect! Perfect for our going to be not so cold winter , I think! So gorgeous! Yours is lovely :-) would love one of these. Just beautiful! Some projects just need to be sewn by hand. I don't see much hand sewing these days. It is beautiful, looks so cosy! Oh, that looks great. would love to make one too. I'd love to win! Currently my closet is full of scratchy woollen scarves, a soft line scarf would be the perfect addition for this Autumn!